Issuing invoices, managing cash flow and tracking expenses are integral part of your business. Due to the process business owners have to undergo, these tasks are considered to be an administrative nightmare. This is why people who want to make the bookkeeping system easier have switched to cloud-based software. This way, mundane and repetitive tasks are automated so labor-intensive processes become a problem of the past. If you have not yet considered bookkeeping automation, here are four good reasons to do so. Bookkeeping demands accuracy especially when it comes to dealing with payroll. This requires time and patience because you need to make sure that the details are correct. Since it is your employees' salary that is at stake, you need to have a simple but intelligent automated payroll process so you will have the ability to streamline staff payment process. Financial manage tools such as QuickBooks Payroll software helps you calculate taxes in minutes. You can also integrate with QuickBooks Online for your accounting solution to be more holistic. Businesses require tracking, managing and even reviewing stock items. These tasks must be done on a regular basis to keep business on its feet. If you have an inventory management software, you will be able to scan and create product barcodes easily. This is because the software simplifies the process and ensures that the details are accurate. The software will also make it easy for you to manage all tasks using one software system. Invoicing is another time-consuming task that needs extra attention. It involves chasing up unpaid accounts. If you do not have a streamlined bookkeeping system, it is easy to lose track of payments due. This is why you need to have an automated invoicing system that will enable you to schedule invoices to be sent automatically to the customers. The invoices can be sent individually or in batches. An automated invoicing system also stores your invoices in one place so you can easily identify the ones that are already overdue. If you have the option to integrate a customer relationship management (CRM) system, it will be much easier for you to focus on other aspects of your business. If you always find yourself juggling numerous client accounts and you find keeping tracking of communication a tedious task, using lead management software will help you keep an eye on your business so you can improve customer satisfaction. Once you automate your CRM processes, you can also give your employees the ability to use a mobile solution so collaboration does not stay within the portals of your workplace. If you are a business owner, you are surely familiar with the process of preparing and lodging Business Activity Statements (BAS). When you prepare activity statements, do you think of it as a mere obligation you need to fulfill? If you do not have keen eyes on preparing these statements, you will have the tendency to open your doors to mistakes. Here are the common errors you need to avoid when preparing your activity statements. You might be having a notion that the ATO calculates your income tax amount in real-time, but they are working about one to two years behind. The path your business takes can also affect your income tax amount. If your business shrinks or grows, the first step you may take is to change or vary your income tax instalment amount. Before you vary your income tax amount, make sure you check with your accountant or bookkeeper. You can pay for fines and penalties for doing this. As a business owner, you need to take note of the important lodgement dates. For BAS, you need to lodge on the 28th day of the month and 28 February for the December quarter. You will get an extra month to lodge if you choose to lodge via a registered BAS agent. Be careful with late lodgement because the ATO will fine you $180 for each month that the BAS is lodged late. You can be fined for a maximum of five months. There are instances when you need to make changes to a transaction or tax rate but when a BAS has already been lodged, the changes will not reflect on the reports. You can only identify alterations if you compare quarterly reports to the balance sheet accounts. You need to engage the services of your accountant or bookkeeper to reconcile PAYG and GST. Once you register for GST with the ATO, you need to know whether you will be using the cash or accrual accounting method. In theory, a turnover of less than $2 million should select the cash method, but this may not always be the best option. For small businesses, the accrual method is the right choice to consider because it can assist with cash flow. It is also interesting to note that you need to finalise all of your tax obligations before you consider cancelling your GST registration. Secure an Australian Business Number (ABN) before you proceed with GST registration. There are three ways you can register for GST: by phone, through your registered BAS agent or tax agent and online via Business Portal. Once you have successfully register for GST, you will be notified in writing on your details including the date your registration is effective. Registration is option for business or enterprise that does not fit into any of the above categories. For business or enterprise that wish to register, it must stay registered for at least 12 months. When do you need to register for GST? You can either register for GST when you first register your business or at a later time. You will also need to register for GST if you have just started a new business and expect it to reach the GST turnover threshold or more during the first year of operation. You need to check each month whether or not you have reached the threshold or exceeded it if you have not yet registered for GST. Registration must be done within 21 days if your turnover has already exceeded the relevant threshold. You will only have to register for GST one even if you have more than one business to operate. You will be required to pay GST on the sales you have made since the date you were required to register. The payment will also include interest and penalties. In a world where everything is rapidly changing, you need to act fast as a business owner so you can continuously enjoy quality and timeliness in your workplace. One aspect that you need to pay heed to is your bookkeeping system. This is why you need to take advantage of the proliferation of technology. Before bookkeeping software came to existence, bookkeeping was a labor-intensive process as you need to spend a large amount of time to carry out a task. This includes entering transactions and even reconciling bank statements. All of which can be time-consuming as you need to make sure that the information you enter is error-free. 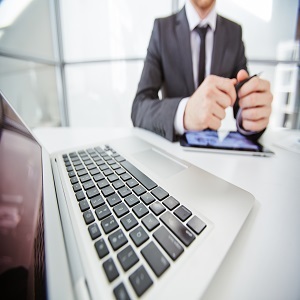 In today's new technology, bookkeeping processes can be done in a matter of minutes. Aside from preparing financial statements and reconciling accounts, your bookkeeper must also know how to interpret numbers and provide recommendations to key stakeholders. Technology will be vital in this process. This is where project management and time tracking tools come in. They allow bookkeepers to monitor workflow to find out if there is any inefficiencies in the workplace. These tools also enable business owners to find out about customers who generate the most revenue. You will also need inventory management tools so you can bring data together and answer questions about budget and goods. This tool can also provide you a way to analyse customers by geography, industry and the products they purchased. These days, one-size-fits-all approach will never work because each business has different goals to accomplish. Choosing bookkeeping platform that can be customised is ideal for businesses. With these platforms, you will have the ability to add new features and functionality. There are application programming interfaces that allow pieces of software to share and communicate data so you can integrate point of sale, online and mobile payments systems, email marketing and customer loyalty programs. When it comes to discussing the future of bookkeeping and accounting, cloud computing will always come to mind. Cloud computing is widely used for reducing the turnaround time of bookkeeping. 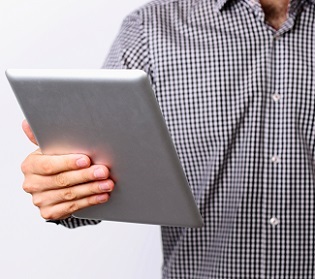 These services are helpful when it comes to giving bookkeeper real-time information. There are services that have the ability to extract key data from receipts and pull statements and bills into a secure hub. These details are published into cloud-based accounting software. With this ability to provide real-time information, it is possible to reconcile most accounts. It will be easier for business owners to collaborate with bookkeepers and accountants this way. When it comes to going digital, you need to make sure that your bookkeeping system keeps up with the changes as well. The main purpose of using bookkeeping software is to streamline the processes so you can boost productivity and performance. This is why it is essential to choose the kind of software capable of bringing speed and accuracy into your bookkeeping system. While features of software can be pretty overwhelming, not all of them can be beneficial to your business. Make sure you are keen on choosing the software that suits your needs. There are affordable versions of bookkeeping software but there is no guarantee that you will be able to maximise the software's benefits. Make sure you choose the ones that can give you affordability and quality. It is not easy to choose the right software for your business so you need to make sure that you follow the correct search process. Keep in mind that as you grow your business, the way you carry out your daily task including bookkeeping must keep up with the changes as well. Here's how you can find the right software for your business needs. It is hard to make a decision about the software to consider if do not know much about bookkeeping software. It is imperative to do a research so you will know the software that provides your needs. Start talking to your competitors so you will know about the software they are utilising. Your bookkeeper and accountant might also give you some suggestions that you can use to narrow down your selection. Once you have come across a possible option, check if they have a trial version. There are two software options for you to choose from: generic and industry specific software. When it comes to choose bookkeeping software, you need to see to it that you know which one works for you. There are some features that you need to take into consideration for you to decide if you should choose stick to generic software or opt for industry specific. Aside from the features, you will also have to consider your budget as a deciding factor, but this does not mean that you should skimp on your bookkeeping software. Choose the software that comply with your business requirements. Never choose the software that offers you the lowest price because you might save money, but not get the result you are looking for. While it might seem to be surprising, nearly half of today's small businesses still do not use automate essential bookkeeping processes to reduce repetitive tasks. If you are one of the businesses that still spend hours preparing expense reports, you may need to embrace automation to carry out your bookkeeping task efficiently. Here are four bookkeeping tasks that need automation. For small business owners, payroll taxes are considered to be the company's biggest burden. More often than not bookkeepers spend 10 hours or more per month for managing payroll. This means that bookkeepers spend a total of 120 hours per year just for managing payroll. However, the number of hours you spend for payroll taxes can be reduced when you automate your payroll. Aside from cutting down your bookkeeping load, you can also create instant paycheck and calculate payroll taxes. 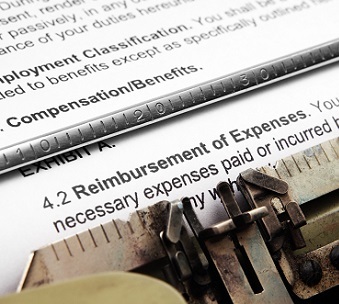 Failing to submit expense reports on time is a violation of company policy. These variables will definitely cost you money and may even create bookkeeping and tax problems in the end. When you automate expense reporting, you can be sure that you will have a streamlined bookkeeping process. The best thing about automation is that you will have the ability to use your mobile devices to automatically snap pictures of your receipts. You can also automatically generate reports and integrate them with your travel bookkeeping to ensure that your travel expenses comply with company policy. It may take days to take inventory but you can cut back on this wasted time by simply automating your inventory management. When you integrate your inventory management with your bookkeeping software, you will have the ability to automatically create sales report, pack list, reduce inventory errors, generate invoices and speed up the reorder process. You can easily lose track of the individuals you paid and the ones you haven't if you do not have bookkeeping software to automatically generate invoices. Oversights can happen all the time and this can give you a headache as it can result in losing money and cash flow problems. Make sure you use bookkeeping software so you can generate invoices that you can print or email. While waiting for the payment to come in, your bookkeeping software can provide an automated system so you will be able to sustain sufficient cash flow. This will also allow you to work in conjunction with your bookkeeping software so you can select an outstanding invoice and request corresponding funds over a specific period of time. Automating your invoicing system can ensure that the payment is deposited into your account as early as the next day. 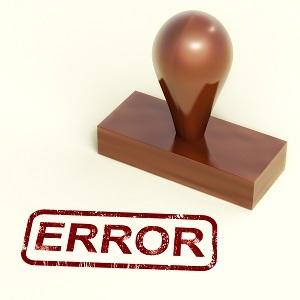 Some businesses are doomed to fail due to mistakes which are left uncorrected. These mistakes may be simple, but they can great affect your business if you do not take the time to talk to your bookkeeper to find out what really is going on. Some bookkeeping tasks may be repetitive while others require extra time due to their complexities. One thing is for sure though: failing to finish the task can create a ripple effect on your business. There are reasons a bookkeeper may commit mistakes: inefficiency or lack of resources. Whatever the reason, it is important that you and your bookkeeper see eye to eye so you will know which direction your business is heading. Cashflow is essential to your business because it is an indicator of your future business plans. A key part of this role is ensuring that your debtors pay you promptly and your bills are also paid on time. Your bookkeeper should pay attention to metering the cash out and getting the cash in. If the bookkeeper is not paying attention to these things, your business can end up insolvent. It is important that your bookkeeper completes debt collection, invoicing, receipts, purchases, purchase orders and bank reconciliations. Mistakes with cashflow monitoring can be avoided if your bookkeeper regularly updates you with the current cash position of your business. Your bookkeeper should also help plan for the cash requirements for any business development you are planning. Although your bookkeeper is not as qualified as your accountant when it comes to correctly handling everything, it is still important that your bookkeeper work with your accountant. There are financial aspects of your business that might be complex and your accountant may be needed to deal with the problem. Your bookkeeper must coordinate with your accountant to attend to responsibilities such as payroll and superannuation, compliance and coding. Make sure you enable strong lines of communication between your accountant and bookkeeper. When your bookkeeper complete tasks in a timely manner, more tasks will be accomplished. For legal purposes, all your receipts and invoices must be filed and archived for at least 5 years. These will serve as strong evidence in case someone sues you. It can also support your case if you are going to use. The receipts and invoices are also going to justify any claims you make. Your bookkeeper should file your paperwork accurately and in a timely fashion. 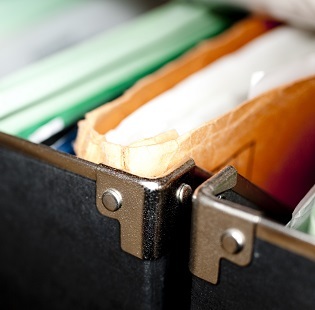 You can also go paperless so prevent losing important documents. Why Time Is Essential For Bookkeepers? 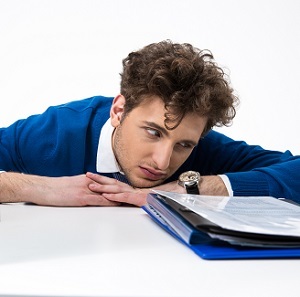 Was there ever a time when you requested for an essential document from your bookkeeper only to find out that your request has fallen on deaf ears? Is your bookkeeper always missing deadlines without any valid reason? You might have been constantly reminding them about the importance of the task you assigned, but you are not hearing from them as though they have fallen off the face of the earth. These things may not matter to you but when you are always not getting what you are expecting from your bookkeeper, this raises a red flag and it should be a cause for alarm. Your bookkeeper might have a problem with time management and that is also the reason they cannot deliver. You may be thinking that your bookkeeper has too many tasks on their plate, but this might not be true. There are still some reasons why your bookkeeper cannot keep up and one of which is the lack of time management. Why is time management so important? Is it really essential for bookkeeping? When it comes to bookkeeping time is going to be of essence. A bookkeeper should deliver your request as they are necessary for checking your financial report. The documents are needed to verify the information on the financial report. There might be some discrepancies on the report but if the bookkeeper has not presented any evidence that can back the report, it might be difficult to correct errors or irregularities. One thing that can correct issues with time management is creating a to-do list. The to-do list must not only include the task but the amount of time required to finish the task. This means your bookkeeper knows the task that they need to prioritise. It is easy to put things off when your bookkeeper does not know which task is urgent and important. With a to-do list they will be able to get an idea of the tasks they need to complete on a weekly basis. You will also need a systematic approach so you can monitor your bookkeeper and help them get things done. A systematic approach allows your bookkeeper to develop a habit of planning. With this approach, they will be able to know which task will take a large chunk of their time. A problem with bookkeeping is not hard to deal with if you know how to correct it. A bookkeeper needs to be flexible whatever changes may take place in your organisation. Cloud computing has been around the past few years and from a buzzword, it has become an efficient system for businesses. These days, you can see more businesses moving to the cloud and this is due to the number of benefits it offers. Cloud computing refers to the storage of data and servers in data centres with the high levels of security. The data centres can be accessed by users who are connected to the Internet. For businesses, this paves the way for workplace environment to embrace mobility. You will no longer have to be chained to your desktop as the information can be easily accessed using any mobile device. This means no matter where you are, so long as you have access to the Internet, you can gain complete access to the cloud and stay updated of your business activity. The best thing about the cloud is that you and your bookkeeper are granted access to the information from an unlimited number of computers. Such an access does not impact the performance so you continue to enjoy unlimited storage and processing capabilities. 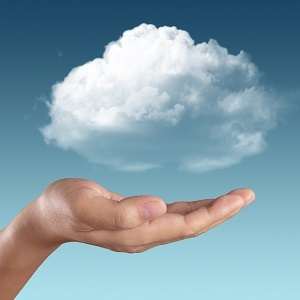 There are different types of Clouds including personal, private and public clouds. With public clouds, you can access the data through Google, Facebook and others. Private clouds are for businesses that want to secure information in a hosted data centre while personal clouds allow you to access your personal information in one place. Personal clouds also give you the option to share personal information with others. Cloud computing reduces the cost for your business. 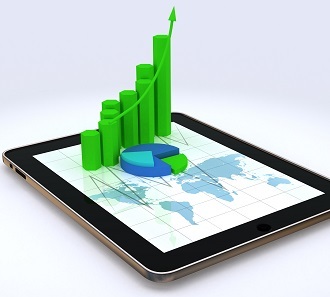 There is no need to invest in additional computers because the information can be accessed by your bookkeeper or business consultant anywhere and from any device so long as there is Internet connection. Any employees who are given access to the information can access it so real-time collaboration and monitoring take place. For your bookkeeper, you can easily track any business activities and provide immediate solution to problems that may arise. Irregularities are easily spotted as you have the option to collaborate with your bookkeeper anytime. You are not only making your business more flexible but you are also increasing accessibility. With this advantage, you reduce the chances of losing track of essential information that may put your business at risk. Cloud computing helps bookkeepers deliver information in real time. Once you are aware of your business activities, fraudulent transactions are prevented before the situation gets worse. A bookkeeper may be deemed unnecessary for small business but shouldering penalties and interest due to late payments will make you realise the importance of bookkeeping in your business. Making mistakes is inevitable and a fledgling company needs to keep records of every transaction to prevent problems from becoming serious especially when it is about taxes. The ATO can chase you due to expenses you have not indicated on your financial report. While there are many mistakes you can commit as a small business owner, these mistakes are the ones you are most likely to commit. Every transaction must be recorded so you can easily identify all the expenses you have incurred. Failing to record business-related expenses can spell trouble when it comes to paying your taxes. Avoid mixing personal with business expenses because this will give you a hard time figuring out which expenses are considered valid. Make sure reports are accurate so you will know if your business is still heading in the right direction. Once you know the expenses you incurred, it will be easy for you to make an adjustment. You will also know if it is time to grow your business. Do you develop a habit of making a payment as you file your tax return? This is one mistake that business owners often commit and this can lead to penalties and interest. Make sure you pay your taxes on time and be mindful of the due date. You can trigger an audit from the ATO when you always fall behind your payment schedule. Late payments must be taken seriously because it can hurt your business and affect its growth. Entertainment and travel expenses that are business-related are hard to justify if you do not have any tangible evidence to present. During the audit, you will need to present documents and receipts to indicate that these expenses are indeed valid. Receipts must be given importance if you are running a business and if you need to indicate the business purpose of the transaction, make sure you keep a journal so it will no longer be a problem recalling when and how you incurred such expenses. These mistakes can wreak havoc on your business if you do not have a bookkeeper to prepare accurate business report for you. Even if you have a small business, a bookkeeper can still help you in more ways than one because when the ATO makes an audit, you will not worry because your business is on the right track. If you are business owner and hiring a bookkeeper has not yet crossed your mind, business growth will surely convince you of getting one. A bookkeeper provides clear-cut ideas that will put your finances in proper perspective. If you do not have a streamlined bookkeeping system in place, it will be difficult to grow your business because you do not have an idea of your financial activity. • Ensures that money is steadily flowing into your business: for business owners, cash flow is king. Without a doubt, cash dictates where your business is heading. If you have failed to keep your cash flow in check, you will incur unnecessary expenses, which can really hurt your business and deter you from moving forward. A bookkeeper prepares an invoicing system that will help you get customers to pay for the products and services you offered. A bookkeeper can also assist you with reducing cash shortfalls. • Helps you make decisions: bookkeepers are not the ones giving recommendations to business owners, but they play an important role in the decision making process. Bookkeepers prepare your financial report so you will know if your cash is still well-taken care of. A bookkeeper is diligent when it comes to monitoring the progress of your business. You will also know if your business is ready for growth if you have a bookkeeper to provide you the financial statement that summarises your expenditures. • Handles financial issues: facing financial challenges are part of running a business and it takes a savvy bookkeeper to handle these challenges properly. A bookkeeper provides financial data analysis that lets you identify underlying issues that may be a deterrent to business development. It is easy to identify financial challenges before they get worse if you have a bookkeeper to help you track any suspicious activity such as payroll fraud. If you are still clouded with doubt as you are worried about the expenses that hiring a bookkeeper may incur, think about the benefits they are able to provide. A bookkeeper can lead you in the right direction by ensuring that your finances are monitored properly. As you continue to work with a bookkeeper, you will realise that the benefits you reap outweigh the cost. Make sure you look for a reliable bookkeeper that can help accomplish your business goals. You and your bookkeeper should work as a team for you to achieve the results you want. Do you keep track of your business’s financial health? One of the steps to take to find out if your business is doing well is answering some key questions. These questions will help you verify if there is a need for you to make some changes in your strategies. Assuming that your business is heading towards a positive direction can lead to a serious disaster as you do not have the figures to support your claims. Are you ahead or behind on your monthly goal? Hitting your monthly targets is one indicator that you are keeping your business on its feet. There are many ways to determine if you are ahead or behind on your monthly goals and one of which is comparing your month-to-date sales and expenses with your end-of-month goals. With this technique, it will be easier for you to identify if you are still on track. Do you pay your bills in a timely manner? It is also worth checking your accounts payable and cash balance. Just because a business is profitable does not mean there is nothing for you to worry about. Even profitable companies run out of cash. The good news is you can prevent falling behind of your payment schedule by ensuring that you keep an eye on both your major payables and monthly burn rate. This way, you will have the ability to pay your bills regularly. Problems with your cash flow can have a negative effect on your business especially if you do not monitor your expenses. Make sure you closely monitor your monthly ongoing expenses and compare last month’s actuals to your projections. You will be able to generate valuable discussion once you keep records of your expenses. It is also essential that you have enough cash to get to break-even as it is considered a major milestone that requires regular monitoring and adjustment. Some of the important things you need to close track include your net profit and business plan projections. You will be able to get a better picture of your business’s trend review your financial statement. One of the ways you can raise money is by cutting your expenses. 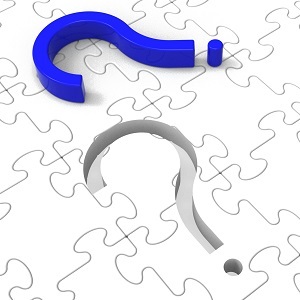 Answering these key questions will help you determine which direction your business will take. There is a big difference when you are completely aware of your financial standing because if you decide to grow your business, you can sleep soundly knowing that your business is on the right track. There is a risk involved in running a business. Making a profit is a reward for the risk that business owners have bravely taken. While making a profit is not just the only goal of every business, it is one reason a business operates. 1. Efficiency indicator: One of the ways to measure the success of the business is to check the profit it has earned for a given period of time. 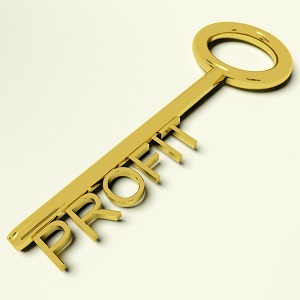 Profit is considered as a yardstick that determines the business firm’s efficiency and earning capacity. 2. Survival: It will be impossible for a business to survive without earning sufficient profit. Business owners consider profit as a source of income and it is also used for paying business expenses, salaries of employees and even buying raw material. Your business does not have a chance to survive if it is no longer earning a profit. 3. Motivation: When you see your profit increase, you will be more motivated to strive harder and take risks. There is a direct relation between profit and risk. When the risk is higher, the profit is also higher. 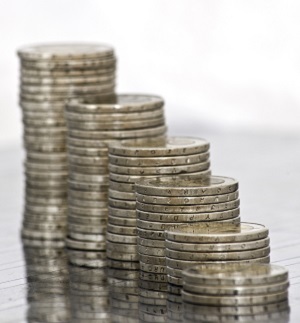 Reduce your cost:Minimising direct costs can have a positive effect on your profit. This can be done by negotiating with your suppliers to lower the process or reviewing the processes and systems. Instead of sticking to the same supplier year after year, it is important to explore other options that can help your business minimise expenses. When you improve your procedures and methods by ensuring that they are systematic. Good systems help you prevent errors and save time and money. Focus on profitability:Although increasing your profit may not only be your priority, it is worth focusing on profitability as it has a dramatic impact on other aspects of your business. Employees must also be aware of the importance and role of profitability in your business. Ask your bookkeeper and accountant how you can ensure you are monitoring the right indicators that will give your business a boost. When it comes to your team, make sure productive employees are rewarded because great pay is linked to effectiveness. 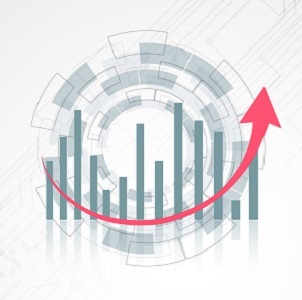 Make continuous improvements:Anticipating problems and adopting technologies that can enhance your company’s ability to make continuous improvements will do wonders on your profitability. Good planning is important in achieving your goals and making improvements. When measuring the effectiveness of your plans, set measurable targets and review your performance as a team. You are on the right track if you see improvements on your system. Improve your turnover:Some of the known techniques that can increase your turnover include focusing your efforts on profitable customers, keeping your services or products up-to-date and maximising the value of your sales. It has also been proven that businesses actively selling their products instead of just taking orders have increased their turnover and more likely to survive. How To Keep An Eye On Your Cash Flow? Business owners often neglect cash flow without realising its importance. There are businesses that fail to survive because of poor cash flow management. Although it does not take a large chunk of your business’ financial aspect, it will still have a negative effect once you do not pay serious attention to it. Bookkeepers and business owners need to work hand in hand to maintain a balanced cash flow. There are two kinds of cash flow: negative cash flow and positive cash flow. Negative cash flow occurs when incoming cash is less than the outflow of cash. This only means something is wrong with the way you handle your cash flow. Positive cash flow occurs when the cash flowing into your business is greater than the amount of cash leaving your business such as salaries, monthly expenses and accounts payable. It is also interesting to note that profit does not necessarily equate to cash flow. There are other financial figures that must be factored in before cash flow can be obtained such as inventory, accounts payable, capital expenditures and debt service. When it comes to cash flow management, a business owner needs to be focused on the drivers of cash. It is not enough that you concentrate on profit or loss because you also have to know what happens to your cash. However, a business will not generate profits without a positive cash flow. You need to have enough cash so you can pay your suppliers and employees. A positive cash flow will only occur if you structure your business. Structuring your business will involve planning in advance and making sure that you avoid unnecessary spending. Collect receivables: receiving and processing your receivables can still be improved when you ask customers to preauthorise checks. This way banks will have the ability to draw against their accounts following timed intervals. It will also be a good move if you ask your customers to pay using depository transfer checks as this is a cheaper type of fund transfer. Another way to encourage timely payments is giving discounts to those who were able to pay their bills quickly. Tighten credit requirements: although it is common for most businesses to extend credit to their customers, it is also necessary to determine the risk of extending credit. You may need to take a few things into consideration such as their ability to repay the money they owed. Check some references and accept credit cards. Although it may cost you a percentage, it is still a safer bet for getting timely payments. Increase sales: attracting more customers is an effective way of getting more cash. However, there might be some challenges in selling your goods but you can make more sales by selling cheaper goods to existing customers. Although bookkeepers are the ones responsible for preparing a financial statement, it does not necessarily mean that business owners no longer have the right to know the information that must be included in it. There are instances when bookkeepers fail to provide the information that the business owner needs in order to determine if it is time to grow or expand your business. There are essential details that must be found in the financial statement for you to make sure that you are well aware of the financial standing of your business. The Income Statement Report provides you an overview of the overall performance of your business. It provides you the details of profit and loss in a particular period. The income statement also provides you the profit/loss before tax, profit/loss after tax, income tax, expenses and revenue. The Profit Before Tax is the amount of sales higher than the amount of cost that has been produced. Loss Before Tax is the amount of sales, which is lower than the cost to produce. When the report shows loss, it only means that the operation of your business is not doing well. The Profit After Tax is obtained when you identify the income tax you are going to pay. The actual amount of profit or loss is computed if the applicable amount of tax is deducted. The Income Tax refers to the amount of obligation that your business needs to pay to the government. This is determined by checking the country where your business is currently in operation. The Income Tax is determined from the tax rate obtained from a particular country multiplied against the Profit Before Tax. The Expenses are the amount of cost to produce an item that will be sold. This can be referred to as the material used, bad debts expenses, depreciation, interest expense etc. The Expenses also help you determine if your business is spending on product improvement or investment. This is also the section that will tell you if you have given high salary or benefits to your employees. The Revenue gives you the details of the amount of sales in a given period. There sales may come from the service fees or the sales price of goods. It will also depend on the kind of business an owner runs. The Balance Sheet is where you can find the asset, liability and equity. The asset adds business worth and it provides significant information on the fixed assets, receivables, short-term and long-term investments and more. The assets are important because they tell you whether it is high time for your business to grow. It is also a reliable section that will tell you the business operation’s sustainability. The liability is your business’ outstanding loan obligations. The liability will show you the balances for bills payables, accounts payables and notes payables. The equity tells you if your business is ready for expansion. If you have high equity balance, it is a good indicator that you have kept your business on its feet. Small business owners should not put the blame on bookkeepers for costly financial mistakes because an entrepreneur can also commit these errors. Although these may be minor errors, they can still stunt business growth. The good news is, you can still learn from your mistakes and a reliable bookkeeper can help you straighten things out and put an end to your bookkeeping woes. When it comes to paying your taxes, the higher your income the more taxes you are going to owe. Although this is a simple equation, overstating income can have a serious effect on your business. For instance, failing to declare your personal income will give you problems when it is tax time. Your business owner should remind you to be honest about your personal income. This way, you will not have any problems when paying your taxes. All business owners need a bookkeeping professional to put things in proper perspective. Someone who is proficient in bookkeeping can manage your financial report and make sure that you are audit-ready. Unfortunately, there are business owners who choose to cut corners, living under the impression that a bookkeeper is part of unnecessary expenses they need to stay away from. A bookkeeper knows how to deal with your finances. They can efficiently use their time so you can get better results. As tax time approaches, you will no longer have to worry about your reports as they are well taken care of by a reliable bookkeeper. If you are still hesitant to hire a bookkeeper due to the cost of the service, make sure you keep the long-term benefits in mind and you will realise that a bookkeeper is more of an asset than a liability. Entrepreneurs are busy and they can find themselves juggling multiple tasks at the same time. However, this should not be an excuse for procrastinating as an avalanche of tasks may come your way and you may end up getting overwhelmed. Schedule time for bookkeeping task and avoid doing it yourself. There should be a bookkeeping professional to help you get things done and carry out these tasks at the time most convenient to you and your bookkeeper. When you do not have a solid grasp of bookkeeping concepts, you will find it difficult to come up with an accurate and error-free report. There are cloud-based accounting programs that can solve problems with data entry. With this program, it will be much easier for you to identify any mistakes on the report and critical errors are easily corrected. Managing your business is not an easy task because you need to pay serious attention to all business aspects. One of the things that a business owner should take into consideration is the financial activities because it is the key factor that determines if the business has a chance of expanding in the future. A bookkeeper should have the ability to get things done and make sure that tax payments are made in a timely manner. Creditors are usually looking at the reputation of a business owner and when payments are always delayed, they will also doubt if you can make timely payments. When you know that you are entrusting your financial report in a bookkeeper that can get the job done, you will no longer have to worry about irregularities. A business owner may only have basic knowledge on bookkeeping, but when the task is assigned to a trusted bookkeeping professional, you are assured that one of the most important aspects of your business is in good hands. Reports need to be accurately created because the details are going to be used for making a recommendation. If a bookkeeper cannot provide detailed information of your financial status as a business owner, you will never know where your business is heading. You may think that everything is going in the right direction, but once you start checking your financial report, everything is not right. When you are working with a competent bookkeeper, you will be able to be more aware of the aspects of your business that need improvement. You will also know if you are ready to grow your business. The procedures and systems need to be systematic for record-keeping to be more effective. For instance, keeping important receipts is an important part of the bookkeeping process. Without this process, business owners will have difficulties keeping track of their expenses. When a bookkeeper keeps track of expenses by keeping receipts, it is easy for every business owner to know if they still have enough money to cover daily expenses. A bookkeeping professional knows when important payments must be lodged. The cash intended for payments are set aside to avoid penalties from ATO. If a bookkeeper is not efficient, payments will be missed and penalties will pile up. One thing that a bookkeeper does to ensure that you make timely payments is ensure that you are not using business account for personal expenses. A bookkeeper also checks cash flow to ensure that it is still intact. Minor mistakes such as forgetting to track daily business expenses can have a negative effect on one’s business. To some business owners, hiring a bookkeeper can be costly, but the benefits a bookkeeping professional provides definitely outweigh the cost in the long run. If a business owner takes a look at the bigger picture, a bookkeeper can be an asset especially when they are doing their job such as tracking your finances regularly. Why Hire A Bookkeeping Service? Small business owners often consider hiring a bookkeeper costly, but they realise the importance of a bookkeeping service when the business’ financial aspect is in chaos. A savvy business owner will consider hiring a bookkeeper to focus on other front-end activities. While this may not seem practical at first, a business owner will find a bookkeeper useful when everything is placed in proper financial perspective. When it comes to data entry, accuracy is important because the financial statement will serve as a basis for bookkeepers to know the direction the business is heading. If figures are not clear, you will have trouble ensuring that your records are accurate and clean. It is important that you keep records of the book. When a bookkeeping service is available to take care of these tasks, not only will business owners prioritise front-end activities such as maintaining a positive company image, generating sales and strengthening relationships with vendors there is also a greater peace of mind knowing records are in good hands. • Professional help is provided. Relying your bookkeeping tasks on professionals will give you an assurance that important tasks are well taken care of. As a result, you will no longer have to worry about filing tax returns because you are confident that your records have been handled by a qualified bookkeeper. You can also be sure that you obtain a certain level of professionalism and expertise. Every cent counts for a small business owner. Unlike established companies, cash flow is limited for a small business. One of the ways that small business owners do to save money is to cut corners even if the financial aspect of the business is greatly affected. However, when you cut labor costs, you may also be compromising on the quality of your daily task. If you have a full-time bookkeeper, you will no longer have to think about bookkeeping since there is a qualified individual who can efficiently do the job. • More focus on the task at hand. 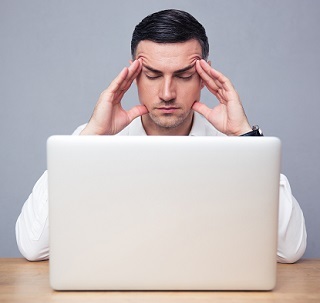 Although many businesses tend to multi-task, there are still some drawbacks in multitasking that small business owners need to take into consideration. Since the business owners cannot give 100% of their attention to the client, financial and administrative matters are often overlooked. When professionals take care of bookkeeping tasks, financial matters are handled efficiently. Small business owners no longer have to worry about missing out on important details of bookkeeping. • Things get done professionally. DIY bookkeeping may not give you the best results you are looking for. Although your intention is to save money for your expansion, you may not be able to achieve this goal if there are irregularities in your financial activity. A bookkeeper will see to it that things are done correctly.